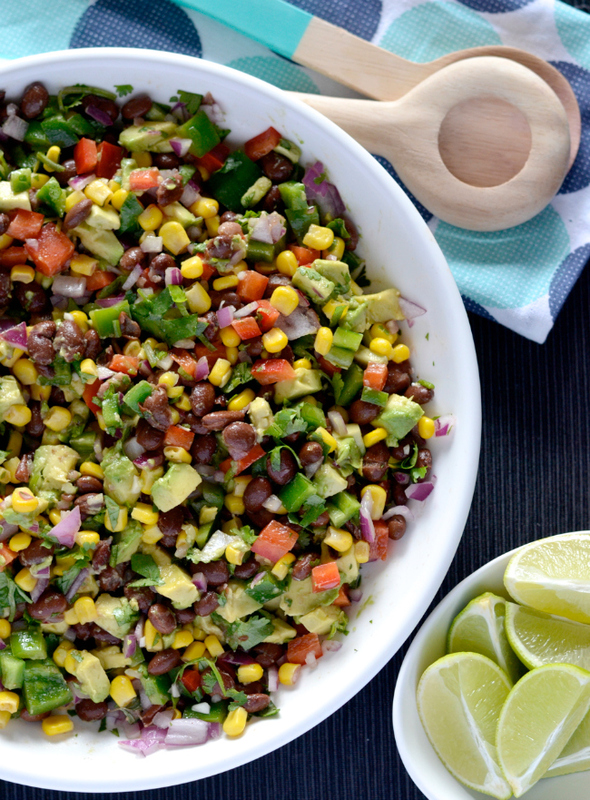 Black beans are one of my pantry staples, I keep them on hand for quick Mexican dinners and healthy, delicious salads like this Mexican bean salad! I whipped up this for a BBQ at a friend’s place and it was gobbled up in no time. 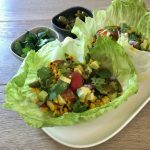 It’s super quick and easy to make and doesn’t even require turning on the oven which is always a win in summer. I recommend you give it a try! 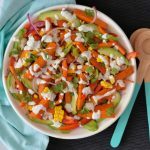 I love the combination of fresh, zesty flavours as well as how bright and colourful this salad is. Plus, it’s healthy too! 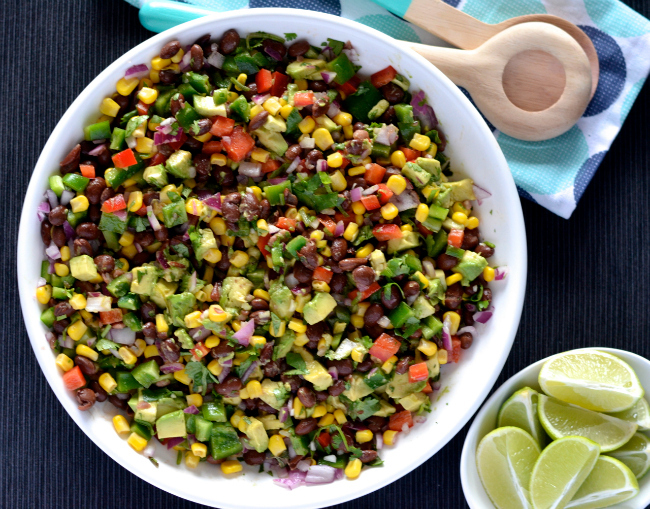 This Mexican bean salad is not only perfect to take along to a BBQ but makes an excellent light lunch or dinner option as well. It’s vegan friendly and gluten free so it suits all kinds of dietary requirements! Did I mention it’s ready in no time as well! Perfect for a quick mid-week meal or a last minute invite to a friend’s place! 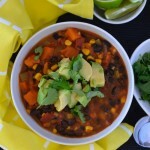 Are you a black bean fan as well? 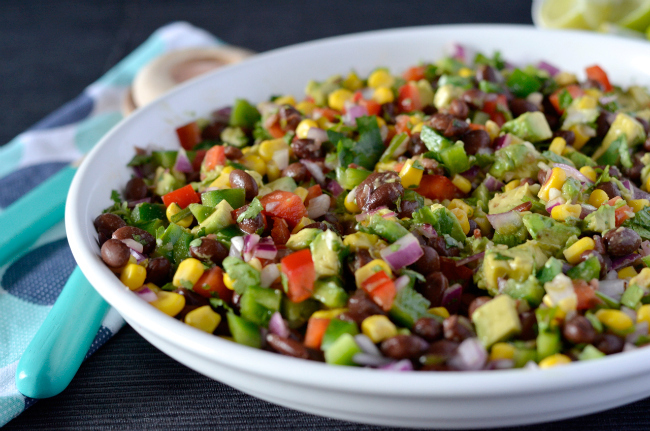 Maybe you’d like my Mexican bean salad! Hi, what do you use for chilli sauce? Ta. I have a few I use including sriracha & a few local ones I have picked up. Whatever you have on hand works! Thanks. I made this on the weekend and it was a huge hit. So glad to hear that! Thanks for letting me know!